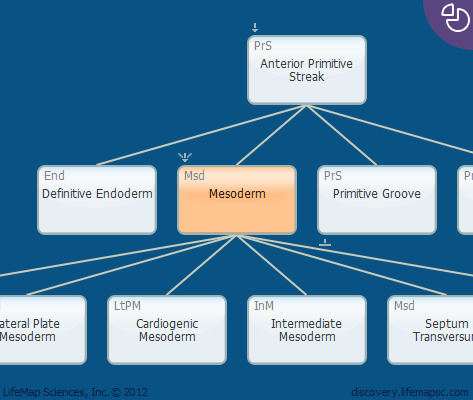 During gastrulation, the mesoderm is formed as epiblast cells ingress through the primitive streak to form a layer between the epiblast and the definitive endoderm. The mesoderm differentiates into three columns of tissue on either side of the midline: the paraxial, intermediate and lateral plates. Formed on day 16 in humans.